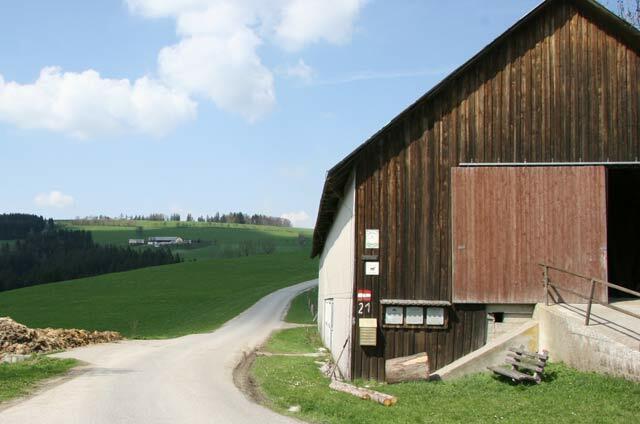 The next farm on the road up the crest of the Grestenbachgraben from Route 22 and Sonleiten is the Gseng Farm. (I have also seen this spelled "Tseng.") It comprises several well-kept buildings and a small chapel. The photo below shows the farm while approaching south from below. The little yellow chapel is on the left. The newer green house on the right currently houses a model airplane club. There is a wind sock on the hill further up to the left. I saw other examples of house art such as is present on the yellow main house. 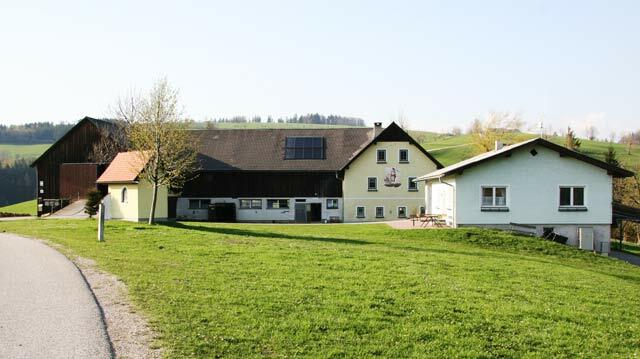 While standing by the barn on the left side of the complex, the house seen in the distance is Kobathslehen. There is a historical display on the barn about a Peasant's Revolt in the late 1500s that I will show on another page. Looking back from further up the road, Gseng can be seen in relationship to the upper Haselgraben and Route 22 crossing out of sight behind the rise below the house. A zoomed-in shot provides additional detail. The road rising to the right up the hill in the background leads to the elevations where I took photographs of the Haselbach House. 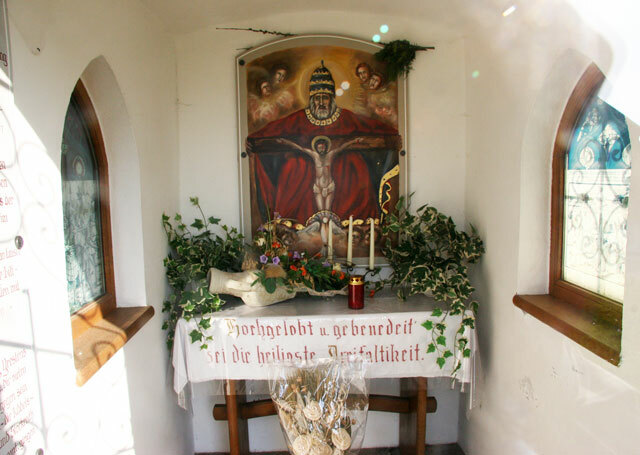 Below is the Farm-Chapel on the property. 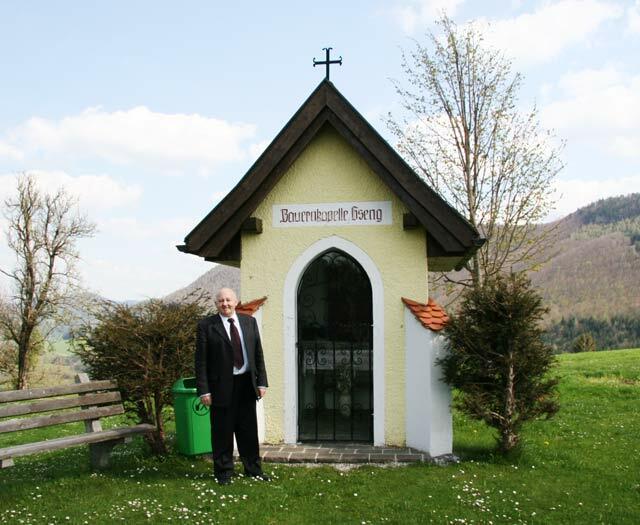 The person in the photo is the former mayor of Gresten to whose generosity of time and information I am indebted. The bench gives an indication of the extensive walking and biking trails in the region. The door was locked, but I attempted some photos. There were some large tablets with historical inscriptions on both sides inside the door.